Though the higher up you go Mount Etna, the sparse vegetation becomes non-existent, at its base there is a thriving variety of crops such as vineyards and fruit trees mixed in among the volcanic rocks and soil rich with volcanic nutrients. So in spite of the fact that it is one of the most active volcanoes in the world, it is very much appreciated and admired by the locals. We have named our women’s Climber’s Jersey after this famous volcano since we have also been inspired by its impressive history and beautiful landscapes. And the hot, treeless ride up the volcano’s side would be the perfect place to test our super breathable lightweight jersey. Here you can order a ride-ready bundle of the Mount Etna Climber’s Jersey with a women’s-specific cut, and pair it with the women’s Climbers Bibs. 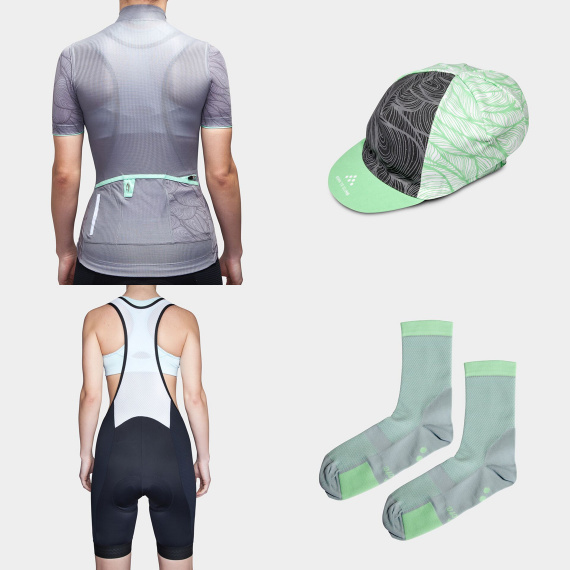 Add in the matching Climber’s Cap and Socks, and you will be ready to tackle the hardest, hottest days in cool comfort. Climber’s Jersey Mount Etna: Allowing the moisture to evaporate off your skin is the best way to stay cool. Our soft merino bi-component material will remain breathable even in the most humid climates while the lycra arms and panels will ensure the greatest fit. All day comfort to enhance every hot weather ride. Climber’s Bibs: Cut specifically to suit a women’s anatomy, these lightweight and breathable bibs come with a comfortable, low profile chamois and seamless 4D technology to offer all-day comfort in the saddle. ColdBlack UV Sun treatment will protect your skin from the sun’s harmful rays. 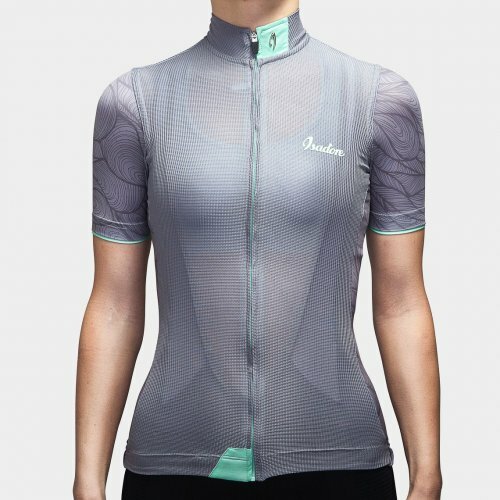 Perfect for summer rides where your body needs to breathe and ventilate. 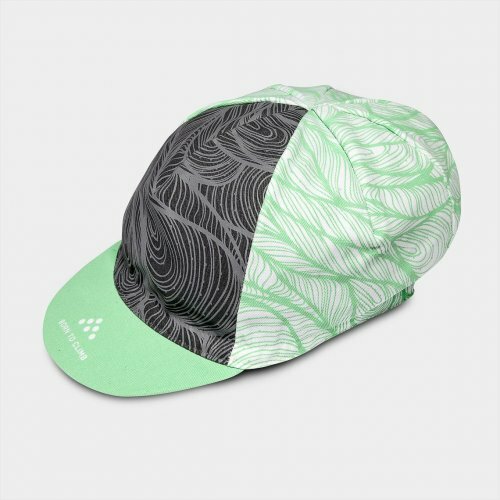 Mount Etna Cap: Complete your outfit with the comfortable feel of the Mount Etna Cap, and enjoy the protection from harmful rays of the sun. Italian made with 100% cotton and 3-panel design with an antibacterial liner tape will keep it comfy even in the heat of summer. Mount Etna Socks: Coordinate your outfit and avoid hot spots on the warmest days with the lightweight and breathable Mount Etna Climber’s Socks. 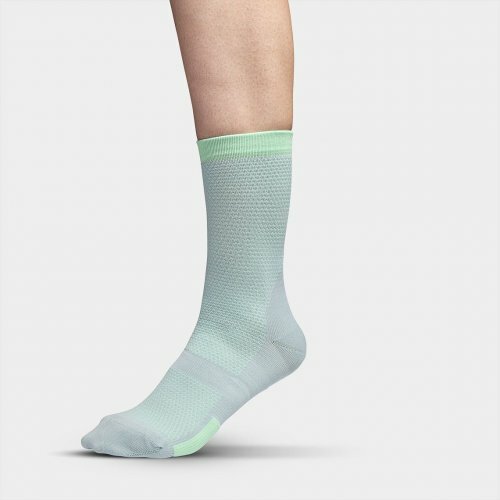 Comfortably form-fitting, these socks will wick moisture and look seriously chic with your matching cap and jersey.